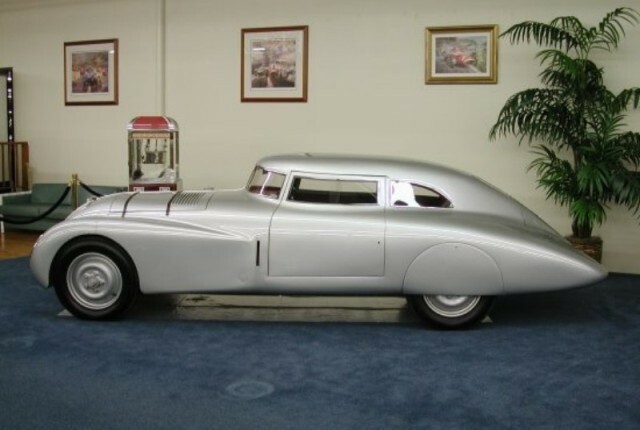 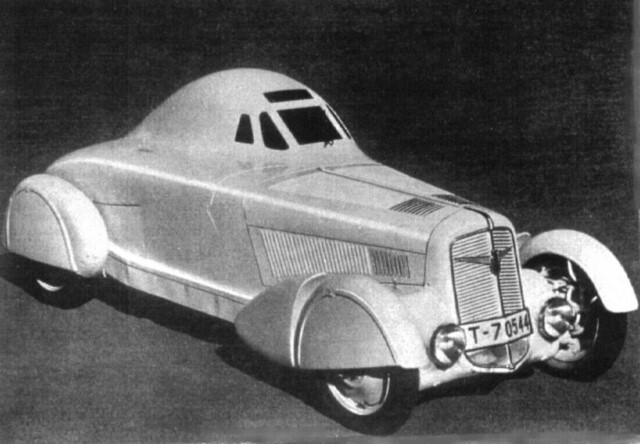 The Trumpf Rennlimousine was designed in 1936-1937 by an outstanding German aerodynamics expert Baron Reinhard von Koenig-Fachsenfeld (his other creations, the BMW Wendler Coupe and Volkhart Sagitta, have been featured in this column in 2010 and 2011). 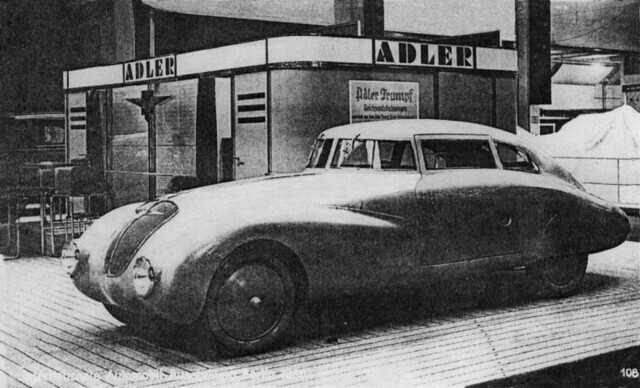 Using Paul Jaray patent, the Baron developed a lightweight all-enveloping low-drag body on the Adler Trumpf front wheel drive platform. 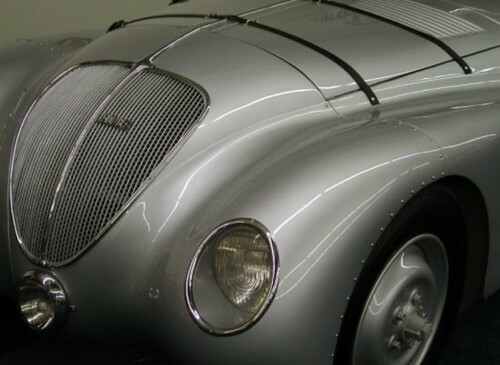 <...>Separate trunks, spare wheels, fenders and running boards were being subsumed into the main body shape, while radiators were disappearing behind grilles. 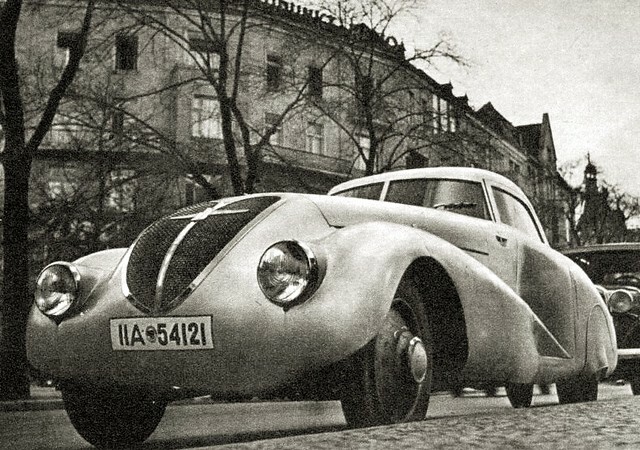 In the latter movement, BMW had a brilliant head start with its twin kidneys, though the Munich stylists would otherwise find it a constant challenge to keep pace with rapid change. 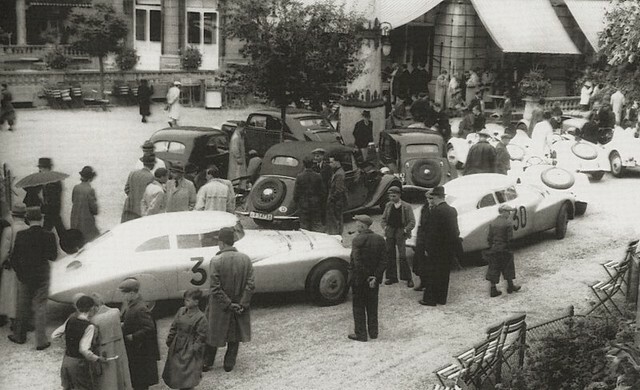 The transformation was especially rapid in the shaping of sports racing cars. 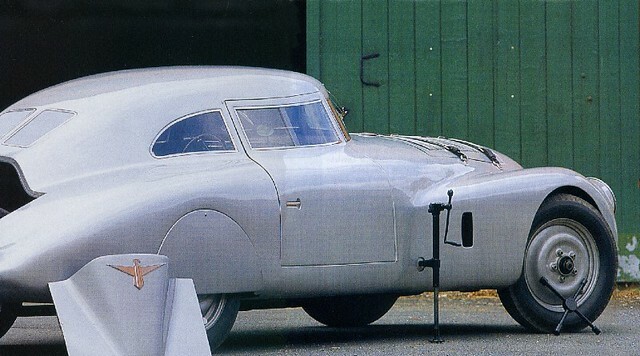 By 1937, the most advanced sports racers had all-enveloping bodywork, with smooth flanks that kept aerodynamic drag at a minimum. 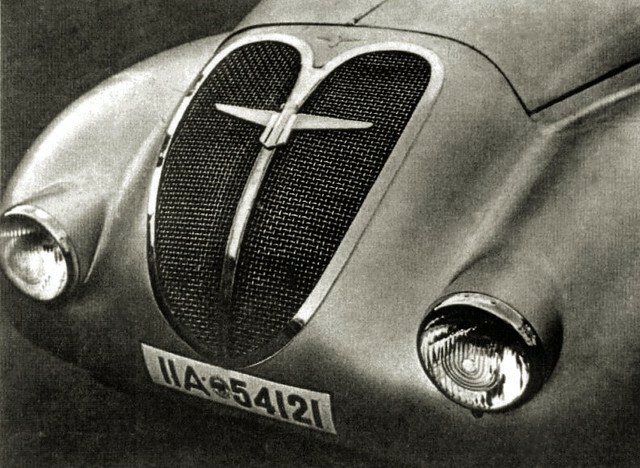 Two landmark designs launched this trend in 1936. 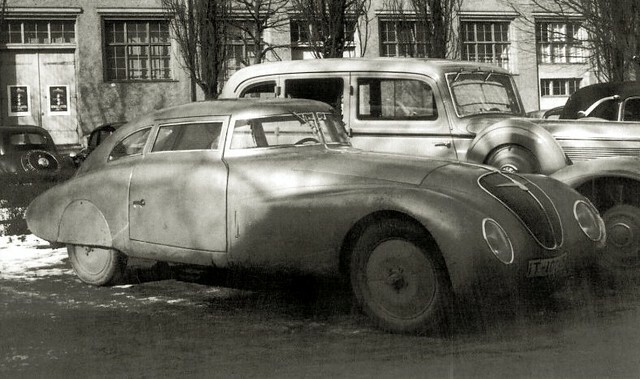 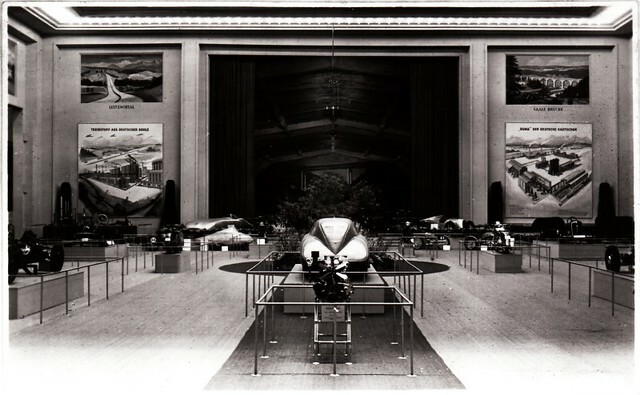 The first was from Bugatti, whose open-cockpit 57G “Tank” was a major advance. 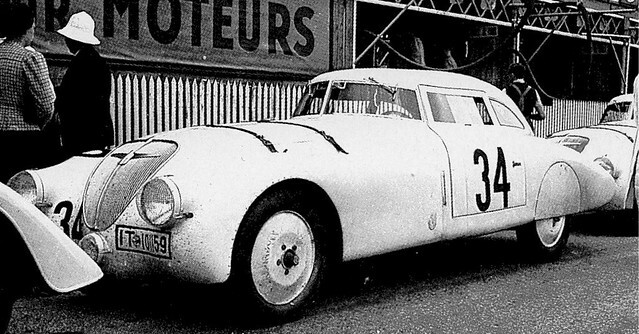 It scored its first wins in 1936, won Le Mans in 1937 and again—in a new version—in 1939. 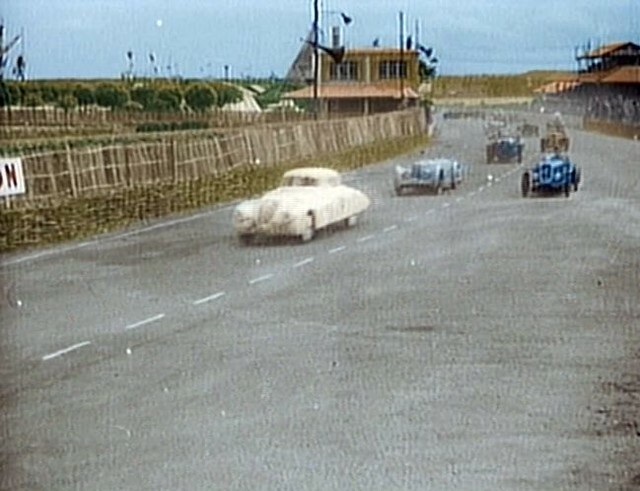 <...> their purpose was to capture the 2-liter crows at race courses and long distance events. 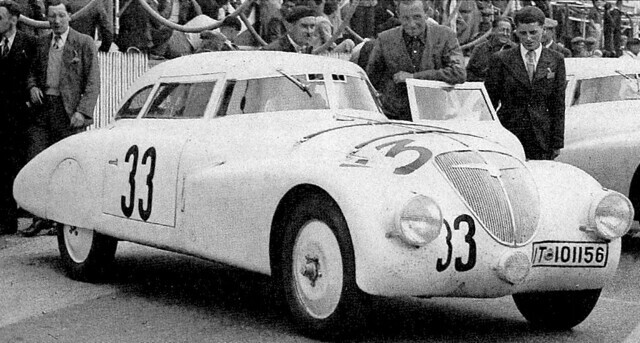 Their successes at SPA and LeMans made automotive headlines and stimulated the creation of several other streamlined competition cars. 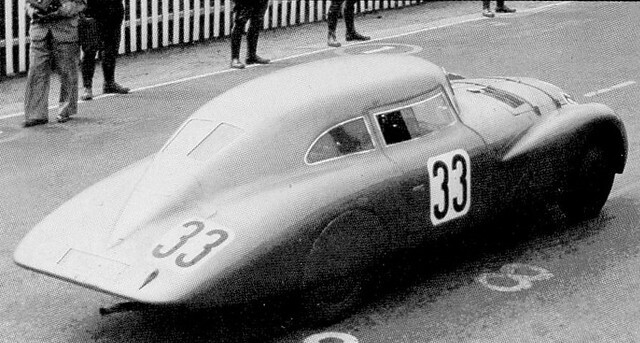 In 1938 Le Mans it was car number 33 driven by Otto Lohr and Count Paul Von Gilleaume, the car won its class and finished the race 7th overall. 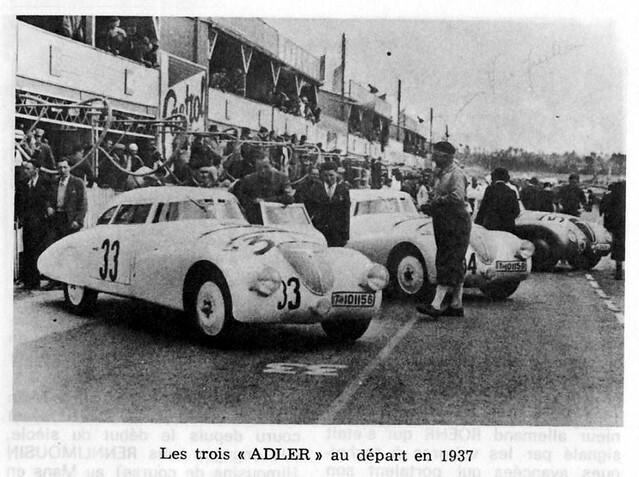 There's at least one more name that should be mentioned: Anne-Cécile Rose Itier, one of the few racing world's Grand Dames. 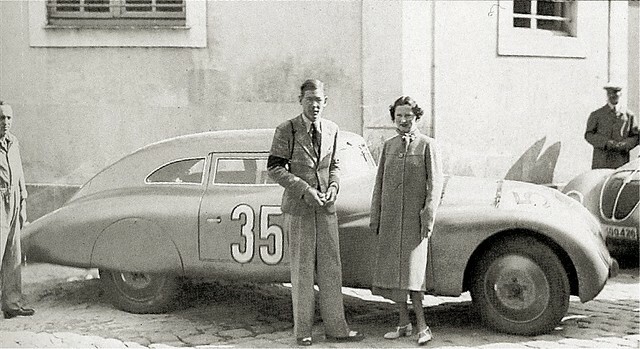 In 1937, she entered the Le Mans 24-hour race together with Fritz "Huschke" von Hanstein, nicknamed "the racing Baron". 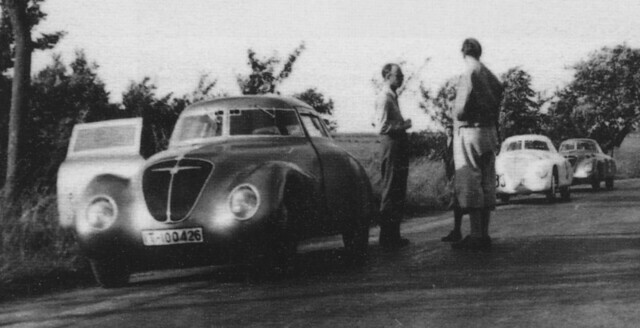 I still have a letter from Fritz "Huschke" von Hanstein who raced it with Mme Anne Itier in 1937. 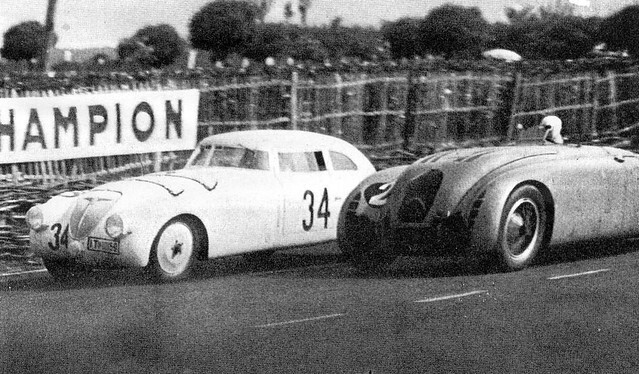 He tells me about them being blackflagged for improper fueling and him then having to "console" Annie in her tent for hours and hours." 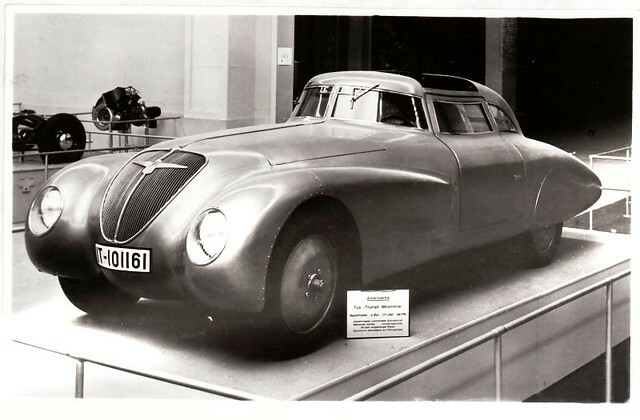 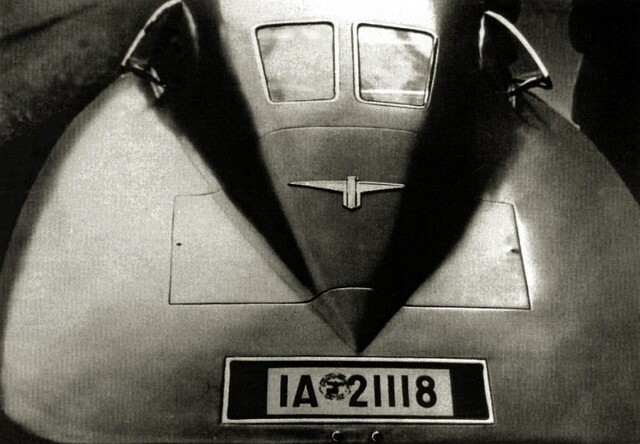 Another noteworthy Adler, the 1937-1940 Autobahn streamliner designed by Karl Jenschke, is here.